It's finally here! 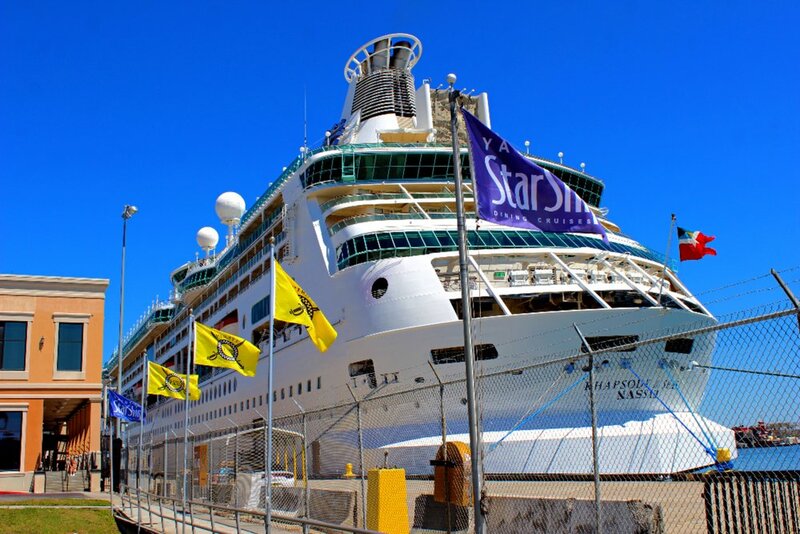 Tomorrow we board the Norwegian Jade for our 7 day Western Caribbean Cruise to Mexico, Honduras, and Belize. Yesterday we flew down from Richmond International Airport to St. Pete Clearwater International Airport on Allegiant Airlines. Our flight was originally scheduled for 6:35 PM, but was delayed by an hour and a half. I over heard the gate agent saying that it was delayed because whoever had filled up the plane with fuel in Clearwater before flying to Richmond, put too much fuel in the plane and they had to burn it off before taking off. We were originally supposed to get in to Tampa around 8:45 PM, but we got in at 10:00 PM instead. We are staying at the Sailport Waterfront Suites which is only 20 minutes away from the cruise port. We have a two room suite with a kitchen and a living room. It has been pretty nice so far. However, last night I found a hair that wasn't ours on one of the towels, and one in my biscuit this morning at the buffet. Today we plan to just relax. Royal Caribbean's Brilliance of the Seas and Rhapsody of the Seas are in port today, so I think we are going to get some pictures of them. There are some cool restaurants around the port so we will probably eat somewhere in there. I've already done some preparation for embarkation day tomorrow. I repacked my carry-on and checked bag. I also cleaned all of my cameras and lenses for optimal picture taking. One thing that I really enjoyed doing was putting our luggage tags on for the ship! Be sure to follow along live on Instagram. My username is @cruiseveryday and I will be live streaming a lot over the next seven days. Also follow me on Twitter @cruiseveryday for live updates. Make sure you become a registered user on my website so you can be notified every time that I post a live blog! Allegiant Airlines did an amazing job of accommodating us after the delay. They provided very informative updates every few minutes. They also did a really good job at handling restless passengers. They were very calm and collected. We have been taking Ubers wherever we need to go since it would be so expensive to rent car and pay for that daily on top of the price of cruise terminal parking daily. The live blogs will come out the day after the actual day titled. If you would like to watch us sail away, go to the Port Tampa Webcam on PTZTV.com. I will be holding a sign that says Cruise Everyday on it!